Aims to engage in a prismatic meditation on beauty and evil, cornucopia and loss. 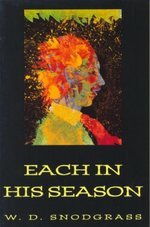 Drawing on the author's cross-cultural work in international health, the poems in this book range widely and naturally across setting, personage, and tongue - from Istanbul to Detroit, Mother Teresa to Gorm the Old, Swahili to Sanskrit. 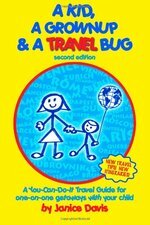 A guide to taking 'one-on-one' trips with a child, where one adult and one child have a unique opportunity to bond while sharing a travel adventure. In addition to endorsing such an experience, the book gives all the practical travel information needed to accomplish such a trip. At a time when the analytic/continental split dominates contemporary philosophy, this ambitious work offers a careful and clear-minded way to bridge that divide. 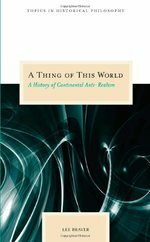 Combining conceptual rigor and clarity of prose with historical erudition, A Thing of This World shows how one of the standard issues of analytic philosophy--realism and anti-realism--has also been at the heart of continental philosophy. history of continental philosophy by explaining how these thinkers build on each other's attempts to develop new concepts of reality and truth in the wake of the rejection of realism. 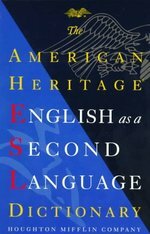 Braver demonstrates that the analytic and continental traditions have been discussing the same issues, albeit with different vocabularies, interests, and approaches. 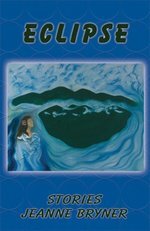 By developing a commensurate vocabulary, his book promotes a dialogue between the two branches of philosophy in which each can begin to learn from the other. Benedict Arnold stands as one of the most vilified figures in American history. Stories of his treason have so come to define him that his name, like that of Judas, is virtually synonymous with treason. Yet Arnold was one of the most heroic and remarkable men of his time, indeed in all of American history. 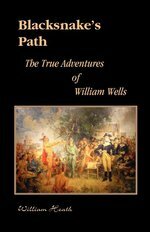 A brilliant military leader of uncommon bravery, Arnold dedicated himself to the Revolutionary cause, sacrificing family life, health, and financial well-being for a conflict that left him physically crippled, sullied by false accusations, and profoundly alienated from the American cause of liberty. By viewing Arnold's life backward through the prism of his treason, we invariably succumb to the demonizations that arose only after his abandonment of the rebel forces. 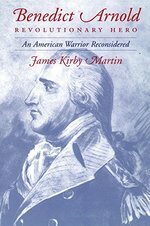 We thereby overlook his critical role as one of the influential actors in the American Revolution. 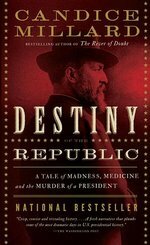 Distinguished historian James Kirby Martin's landmark biography, the result of a decade's labor, stands as an invaluable antidote to this historical distortion. Careful not to endow the Revolutionary generation with mythical proportions of virtue, Martin shows how self-serving, venal behavior was just as common in the Revolutionary era as in our own time. Arnold, a deeply committed patriot, suffered acutely because of his lack of political savvy in dealing with those who attacked his honor and reputation. Tracing Arnold's life, from his difficult childhood through his grueling winter trek across the howling Maine wilderness, his valiant defense of Lake Champlain, and his crucial role in the Quebec and Saratoga campaigns, Martin has given us an entirely new perspective on this dramatic and exceptional life, set against the tumultuous background of the American Revolution. In his brief but distinguished life, Anton Chekhov was a doctor, a documentary essayist, an admired dramatist, and a humanitarian. He remains a nineteenth-century Russian literary giant whose prose continues to offer moral insight and to resonate with readers across the world. Chekhov experienced no conflict between art and science or art and medicine. He believed that knowledge of one complemented the other. 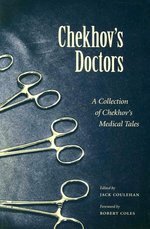 Chekhov brought medical knowledge and sensitivity to his creative writing--he had an intimate knowledge of the world of medicine and the skills of doctoring, and he utilized this information in his approach to his characters. His sensibility as a medical insider gave special poignancy to his physician characters. The doctors in his engaging tales demonstrate a wide spectrum of behavior, personality, and character. At their best, they demonstrate courage, altruism, and tenderness, qualities that lie at the heart of good medical practice. At their worst, they display insensitivity and incompetency. The stories in Chekhov's Doctors are powerful portraits of doctors in their everyday lives, struggling with their own personal problems as well as trying to serve their patients. The fifth volume in the acclaimed Literature and Medicine Series, Chekhov's Doctors will serve as a rich text for professional health care educators as well as for general readers. 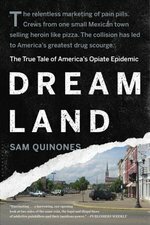 From a small town in Mexico to the boardrooms of Big Pharma to main streets nationwide, an explosive and shocking account of addiction in the heartland of America. 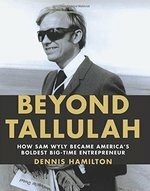 With a great reporter's narrative skill and the storytelling ability of a novelist, acclaimed journalist Sam Quinones weaves together two classic tales of capitalism run amok whose unintentional collision has been catastrophic. The unfettered prescribing of pain medications during the 1990s reached its peak in Purdue Pharma's campaign to market OxyContin, its new, expensive--extremely addictive--miracle painkiller. Meanwhile, a massive influx of black tar heroin--cheap, potent, and originating from one small county on Mexico's west coast, independent of any drug cartel--assaulted small town and mid-sized cities across the country, driven by a brilliant, almost unbeatable marketing and distribution system. Together these phenomena continue to lay waste to communities from Tennessee to Oregon, Indiana to New Mexico. A strong book of short fiction by Jeanne Bryner, treating the working classs lives of many characters ranging from Appalachia to the industrial Midwest. 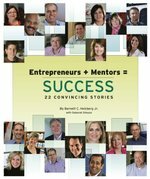 In our WORKING LIVES SERIES. 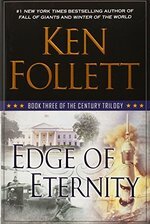 Ken Follett's extraordinary historical epic, the Century Trilogy, reaches its sweeping, passionate conclusion. In Fall of Giants and Winter of the World, Ken Follett followed the fortunes of five international families--American, German, Russian, English, and Welsh--as they made their way through the twentieth century. Now they come to one of the most tumultuous eras of all: the 1960s through the 1980s, from civil rights, assassinations, mass political movements, and Vietnam to the Berlin Wall, the Cuban Missile Crisis, presidential impeachment, revolution--and rock and roll. East German teacher Rebecca Hoffmann discovers she's been spied on by the Stasi for years and commits an impulsive act that will affect her family for the rest of their lives. . . . George Jakes, the child of a mixed-race couple, bypasses a corporate law career to join Robert F. Kennedy's Justice Department and finds himself in the middle of not only the seminal events of the civil rights battle but a much more personal battle of his own. . . . Cameron Dewar, the grandson of a senator, jumps at the chance to do some official and unofficial espionage for a cause he believes in, only to discover that the world is a much more dangerous place than he'd imagined. . . . Dimka Dvorkin, a young aide to Nikita Khrushchev, becomes an agent both for good and for ill as the United States and the Soviet Union race to the brink of nuclear war, while his twin sister, Tanya, carves out a role that will take her from Moscow to Cuba to Prague to Warsaw--and into history. Acclaimed sci-fi series EUREKA continues in comic form written by the show's creators Andrew Cosby and Jaime Paglia! 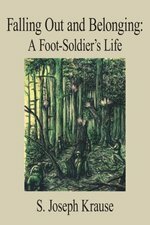 This WW II novel revolves around the experience of a callow youth destined to join the Fourth Infantry Division in Hrtgen Forest. The narrative traces the bonded ties of six comrades in arms, three of whom are killed and three wounded. Vividly detailed, the stressful existence of Combat Infantrymen causes some men to break. What helps those who see it through is their loyalty to one another, called a "culture of caring" by their Chaplain. In Part I our innocent recruits are sobered by incidental casualties on the way up, which initiate them into the inconsequence of death. Part II takes them into Hrtgen, a battle fought under continuous icy rain in steep-hilled terrain favoring the well entrenched Germans. Casualties often run over l00% of a Company's authorized strength. Attacks are met by unrelenting artillery and mortar fire-machine guns at close range. In a typical situation, our narrator covers a Sergeant, who, after taking out a machine gun pinning the Company down, is himself killed by a sniper. A hard-headed West Pointer insists on night action, impossible in the Forest, and, after stepping on a mine that takes his legs off, he rolls on another that hits those nearby. General Patton called Hrtgen "an epic of stark infantry combat." Part III deals with how, badly depleted in numbers and morale, the men successfully withstand the Breakthrough, thereby saving Luxembourg, a defense for which Patton gave the Fourth a Unit Citation. In the concluding Part, the narrator is wounded and put on limited assignment. He dislikes the rear echelon life-style, guys being obsessed with whores, drinking, stealing, and feasting, but he holds his peace and decides he'll return to the world wherereality matters. When "The Fountainhead" was first published, Ayn Rand's daringly original literary vision and her groundbreaking philosphy, Objectivism, won immediate worldwide interest and acclaim. This instant classic is the story of an intransigent young architect, his violent battle against conventional standards, and his explosive love affair with a beautiful woman who struggles to defeat him. 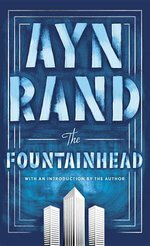 This edition contains a special Afterword by Rand's literary executor, Leonard Peikoff, which includes excerpts from Ayn Rands' own notes on the making of "The Fountainhead." 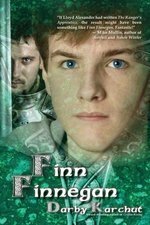 As fresh today as it was then, here is a novel about a hero - and about those who try to destroy him. A letter can spark a friendship. A friendship can change your life. In the summer of 1957, Frances and Bernard meet at an artists' colony. She finds him faintly ridiculous, but talented. He sees her as aloof, but intriguing. Afterward, he writes her a letter. Soon they are immersed in the kind of fast, deep friendship that can take over--and change the course of--our lives. From points afar, they find their way to New York and, for a few whirling years, each other. The city is a wonderland for young people with dreams: cramped West Village kitchens, rowdy cocktail parties stocked with the sharp-witted and glamorous, taxis that can take you anywhere at all, long talks along the Hudson River as the lights of the Empire State Building blink on above. 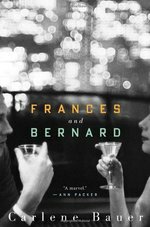 Inspired by the lives of Flannery O'Connor and Robert Lowell, Frances and Bernard imagines, through new characters with charms entirely their own, what else might have happened. 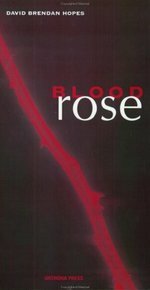 It explores the limits of faith, passion, sanity, what it means to be a true friend, and the nature of acceptable sacrifice. In the grandness of the fall, can we love another person so completely that we lose ourselves? How much should we give up for those we love? How do we honor the gifts our loved ones bring and still keep true to our dreams? In witness to all the wonder of kindred spirits and bittersweet romance, Frances and Bernard is a tribute to the power of friendship and the people who help us discover who we are. 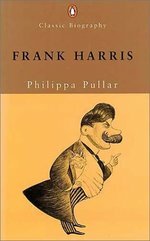 Notorious writer and legendary sexual adventurer, Frank Harris scandalized Victorian and Edwardian England with his outrageous carnal exploits. He lived a sensational life surrounded by myth and exaggeration - much of which was perpetrated by himself. A balanced diet based on the glycemic index is a great way to eat more healthily, and it can also help you lose weight while still feeling full and energetic. This book will give you all the basics of the GI diet and helpful hints for a healthier lifestyle. 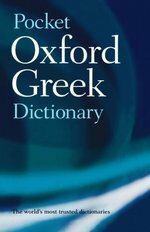 Covering the most commonly used vocabulary of everyday Greek life, as well as that found in general literature, this revised edition of the highly acclaimed Oxford Dictionary of Modern Greek is specially designed for tourists, travelers, students, and business people alike. This authoritative guide offers comprehensive coverage of 67,000 words and phrases, as well as some 82,000 translations, and includes many idioms and illustrative phrases in both Greek and English showing words in use. Information is given on points of style and usage, and appendices are included listing the principal parts of Greek verbs, place names, and personal names. Brought completely up-to-date with the monotonic spelling system for the Greek language, now the most widely used in Greece, this reference guide is a must for anyone Clearning or using Greek.